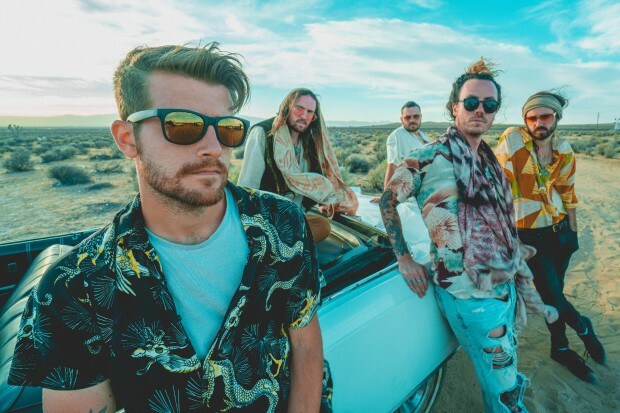 Canberra rockers Hands Like Houses are back with the release of their fourth studio LP ‘-Anon.’ To celebrate the release they will be hitting up a six date national tour and bringing along Melbourne nu-metalers Ocean Grove for the ride. Speaking of the tour and the difference between the bands styles, Hands Like Houses lead vocalist Trenton Woodley remarked, “They are great dudes and we have played shows with them in the passed so it just seemed natural to get them on board. “I feel like stylistically Ocean Grove are a bit of an outlier on any lineup so for us it just made sense, they are doing incredible things on their own accord and that should be showcased,” he continues. And Trenton isn’t wrong, with ‘-Anon’ charting at number 4 on the Aria charts, I think it’s pretty fair to say that Australians can recognise good music when they hear it. Expanding on the realms and restrictions of genre Trenton stated, “At the end of the day we just classify ourselves as a rock band. The most important thing to us is that we have music that is loud, passionate and that it has a sense of urgency to it because that’s the feeling I get listening to rock music. Speaking of the albums lyrical themes Trenton discussed the introspective of his songs. Hands Like Houses will be hitting up Melbourne’s prestigious venue The Forum this Friday (16th of February). You won’t want to miss this as the lads will be jetting off to South Africa and America straight after the tour so catch them while you can!